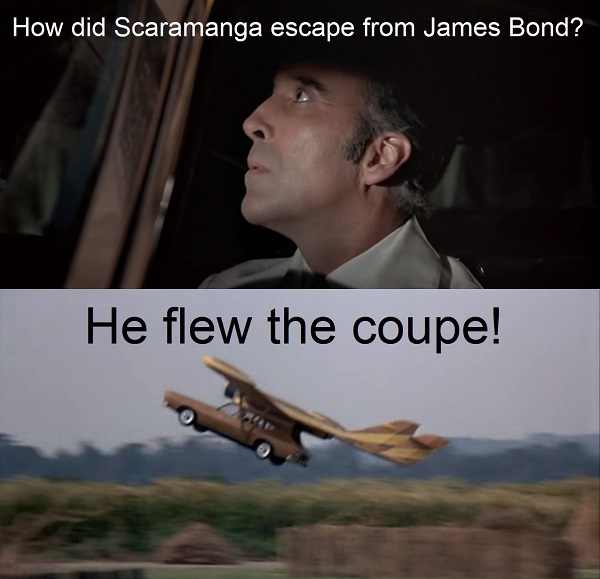 How Did Scaramanga Escape from James Bond? There are two things that I absolutely love: movies and puns. And today I get to combine them to humorous results. Get ready for a Man with the Golden Gun pun. The images and movie clip are the copyright of their owner. This entry was posted in Random Stuff and tagged action movies, films, fun, funny, humor, james bond, jokes, movies, puns. Bookmark the permalink.